The crown prince and I have nothing in common. 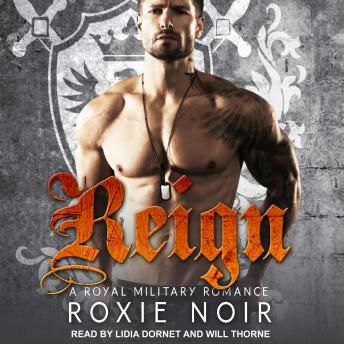 He's a rugged, battle-hardened soldier who spent four years in the Royal Guard, an elite military unit. I met the King and Queen for the first time wearing leggings and a sweatshirt. But there's the way he looks at me. Like he knows every dirty thought I've had about him-and he likes them. There's the way my pulse skyrockets every time his hand brushes mine. I'm the ambassador's daughter. I know better than to mess around with a foreign head of state. But I don't know how long I can resist. I spent years in the Royal Guard, our most elite military unit, fighting like hell so I could rule one day-not so I could give my father an heir with some well-bred rich girl. I have a f*cking country to run. My love life can take a back seat. It's not like I've ever met a girl I had to have-until her. I can't stop thinking about the way she laughs, about how she might taste. My father's threatening to strip me of my title if I touch her, but she makes me want to break every one of my own rules.